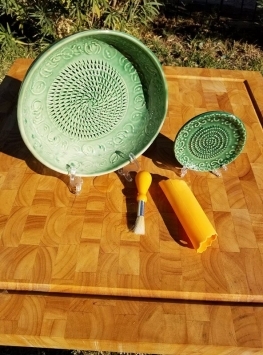 The custom Gourmet foodie set comes with matching bowl and grater, also the brush and peelers are the added bonus. Get this decorative piece and ad it to your kitchen essentials. Comes in red, blue, black, green, yellow, amber.